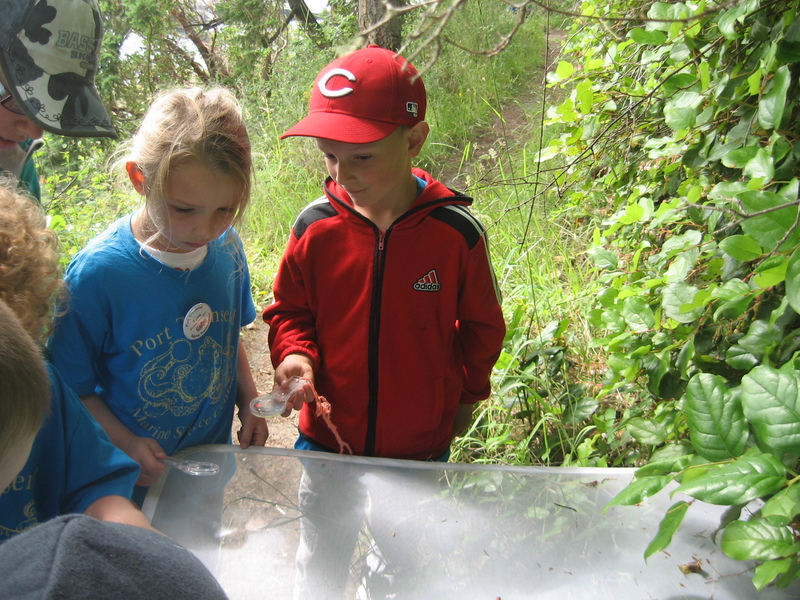 Last week (June 25-29) was our Junior Explorers summer camp with kids ages 5-7. I was a little nervous as that Monday had only been my fourth day working at PTMSC and I was still learning all the ropes. However, this was a fun group of kids and it was a great learning experience for all of us. We went over everything from marine mammals to tide pools to insects to birds. On Wild Woods Wednesday, we looked at insects we found on the trail. 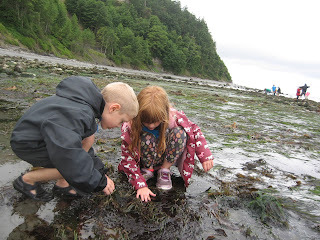 It was Tidepool Tuesday with a great low tide! We found crabs and a sea cucumber among many other cools things. Build-a-bird! We have our "loon" on the left and our "eagle" on the right. Making sand critters on the beach! So as you can see, we had quite the adventures that week! Even some inclement weather couldn't dampen our enthusiasm. I think the kids came away with a better understanding of the creatures we share our home with and hopefully this will make them want to take part in conservation efforts in the future.